This is the best information you are going to get on the ruins around Cuzco. Which ones you can get in for free, which ones are the best. Here, I´m evaluating Tipón, Pikillacta, Moray, Chinchero, and Q´enqo. So, this past week Marc Capule came to visit. Being a shoestring traveler like myself with a strong adversion to paying the gringo tax that Cuzco imposes, we decided to try to get into as many ruins as we could for free. To prove my point, we walked into a bookstore to find him a notebook, and when the lady behind the counter said 80; he assumed it was 80 soles ($40) and said, “Ok, I don´t need it that badly” and started to leave. Soon everything got sorted out (the notebook was 80 cents), and we started a week of awesome food (will be in a following post) and touring around Cuzco. Tipón is my favorite ruin so far. To get there, take a cab to the Urcos taxi stop on Av. La Cultura in front of the Universidad. Get off at Tipón. Cabs cost S./10 a person and another S./10 to get in. Alternatively, walk down the road 4 km. When you get to the base of the hill, don´t go up the pedestrian steps, but walk up the road past the giant Tipón sign. About 20m up the road, there is a small path leading up the ancient Incan steps to the ruins (and bypassing the control). Tipón is a beautiful series of terraces interspersed with canals. You can walk up the Incan steps in the wall (generally rocks sticking out of the wall) to climb the terraces to the natural spring at the back of the ruins. 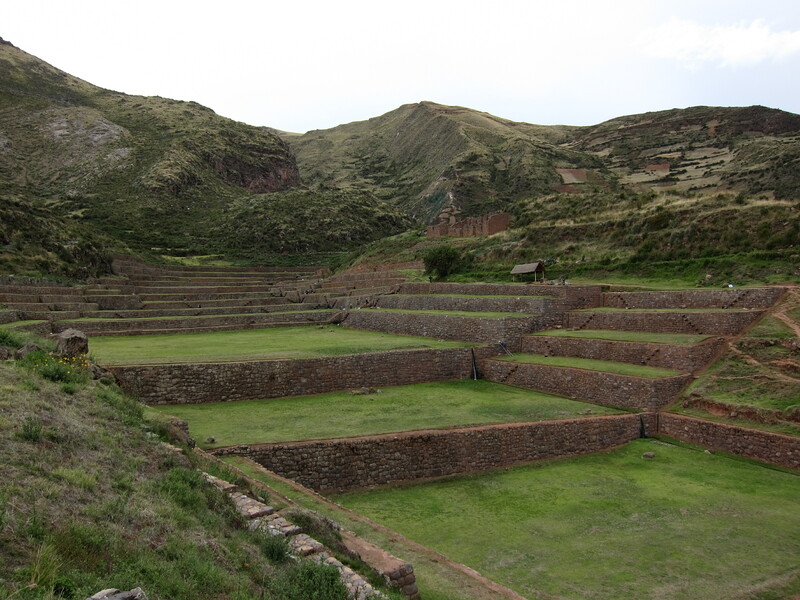 Or alternatively, check out the view from the fortess that you passed coming up the Incan steps. Pikillacta. Similarly to get here, you take the taxi from the Urcos stop, and get off at Pikillacta. The only cool part of the ruin is the giant wall alongside the road and views of the lake. (see slideshow). Sneaking in to the main ruin is easy. From the road, take “the high road” instead of walking down the path to control. The path leads you past control directly to the ancient city. Now, merely crumbling rock walls. Place this at the bottom of your list. Moray. 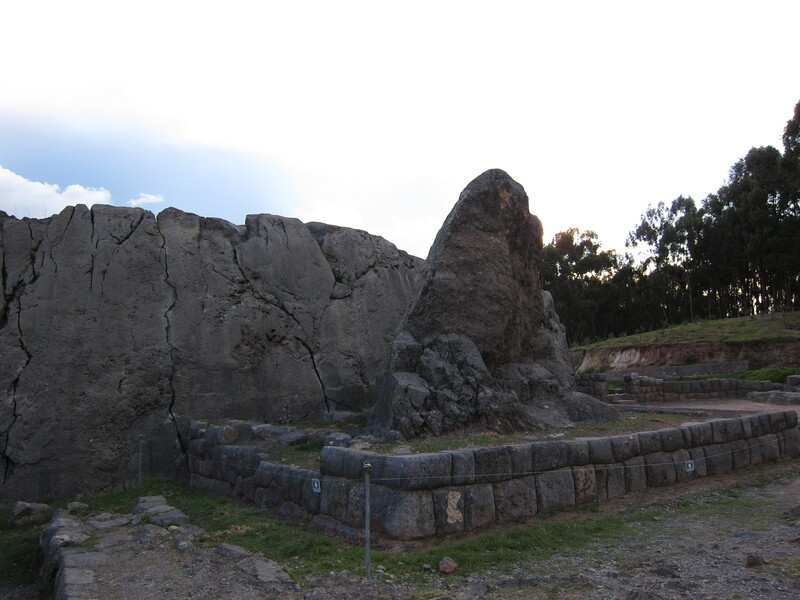 I thought (and had been told) this was one of the closest ruins in the Sacred Valley. My verdict, go to Tipón first. It´s better maintained, greener, and with the natural spring, more beautiful. To get here, take the bus to Urubamba from Pavitos street in Cuzco. Get off Moray. Your options of getting to the ruin are limited (they are 14km away). The cab runs S./15 each way. Alternatively, you can do a bike ride to the ruins. 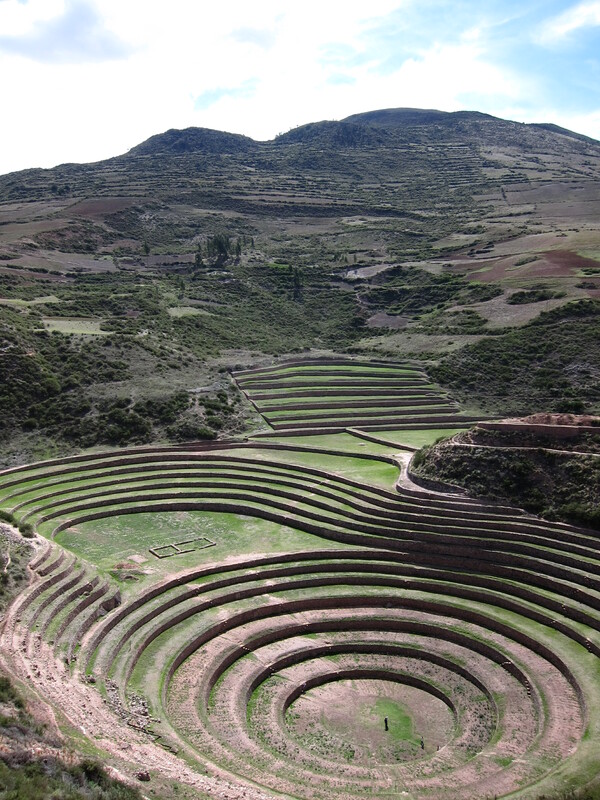 The circular terraces were used for crop rotation (each terrace differed by .5º C so they were experimenting with temperature differences) and the larger one as an amphitheater. The cab will drop you off at the control, but a dirt path leading down to Urubamba suggests that you could sneak in from the valley. 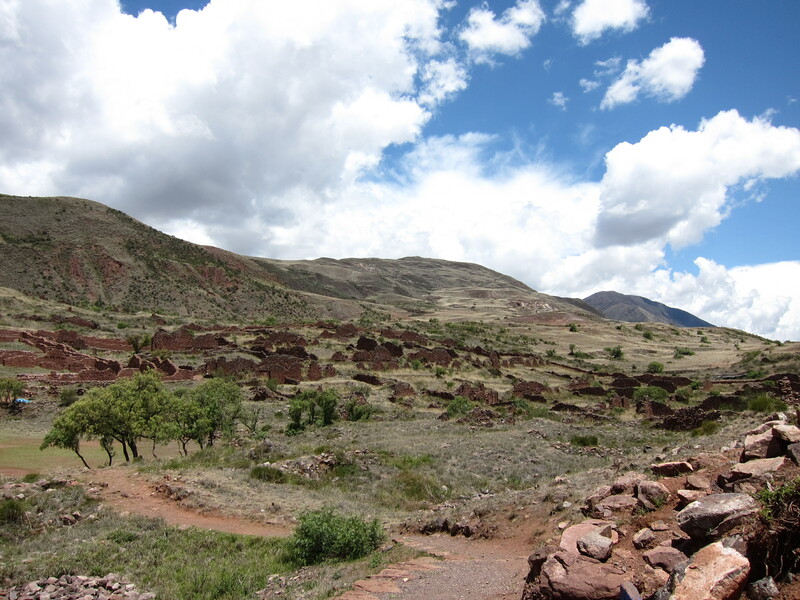 There is a nice hike from Las Salineras to Urubamba (another S./15 to get there). Chinchero. Second favorite ruin in this list. Take the bus/ convey/ taxi from Pavitos street in Cuzco. Get off at Chinchero. From the big sign that talks about the ruins, walk up until you see the plaza on your left. Walk through the plaza, and take the street up that is closest to Urubamba (away from Cuzco). Although there are three controls in the city, going up the left hand side (if you are facing the ruins) lets you avoid all three. The ruins, the church, and the market are all worth checking out. Finally, Q´enqo. 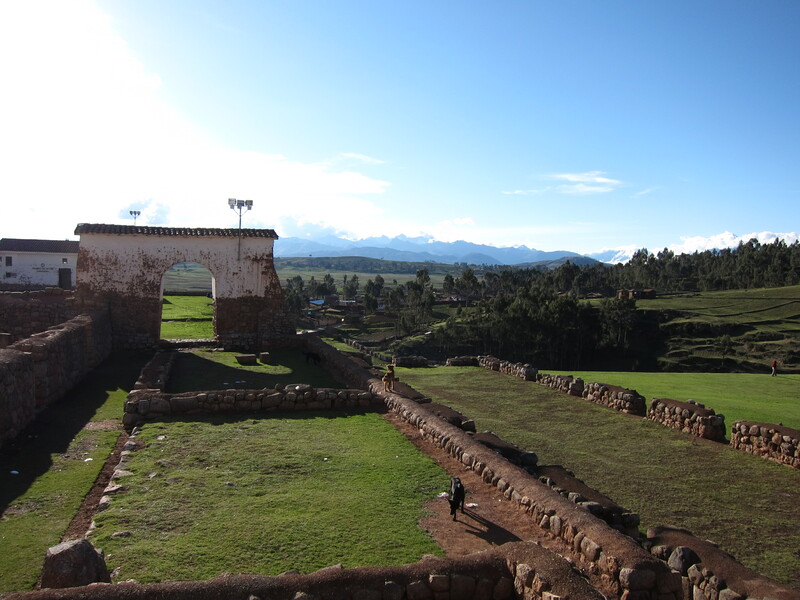 These ruins are a short trip from Cuzco and a lovely afternoon hike. Walk up through San Blas until you hit the road going to Sacsayhuaman. On the road should be a small sign for rock climbing. If you cross the small creek and follow the path up, you reach the Moon Temple (when you get there, make sure you go into the caves). For Q´enqo climb the hills on the other side of the creek until you pass a massive Inca stone wall. You can reach Q´enqo from the backside by crossing the bridge. Happy Travels! Cuzco Restaurant and the Rest of the Sacred Valley Ruins Soon!